Over 3,000 items in stock shipped within 24 hours ! Accessoires Wiko	There are 87 products. All the accessories for Wiko phones. 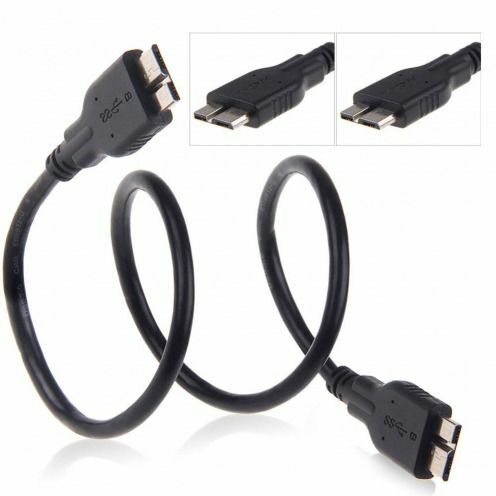 Data cable made by Samsung required for synchronization and charging your Galaxy Tab connecting USB 30 Pins. Made for Galaxy Tab. Model: ECB-DP4AWE. 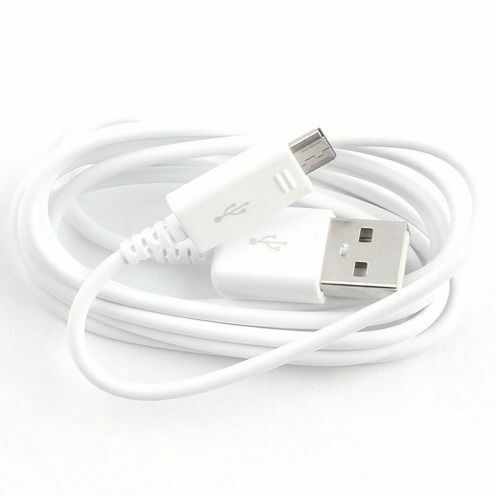 Data cable required for synchronization and charging your mobile devices connecting Micro USB.High-quality, USB and black! 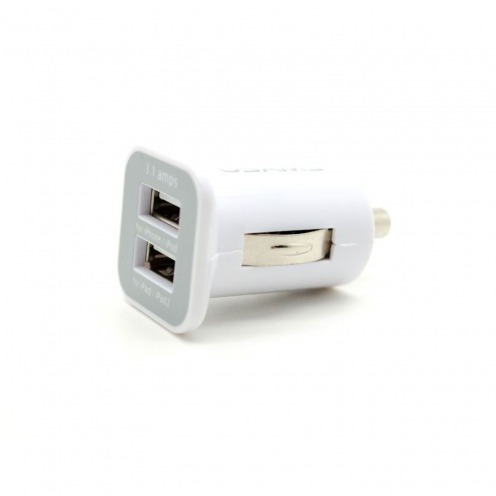 2x USB Ports AC Charger Haweel® World Travel Charge with a power of 2.1A. With 2 integrated USB ports and a power of 2.1 amps, charge up to 2 devices simultaneously. 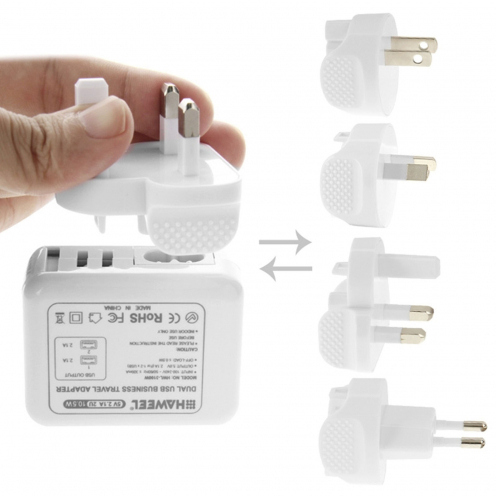 Plug your charger worldwide with plugs for UK, EU, US and AU. 3 front screen protectors for Wiko Lenny by Clubcase®. Designed for your Wiko Highway they are Ultra clear and transparent, accompanied by 3 cleaning wipes. 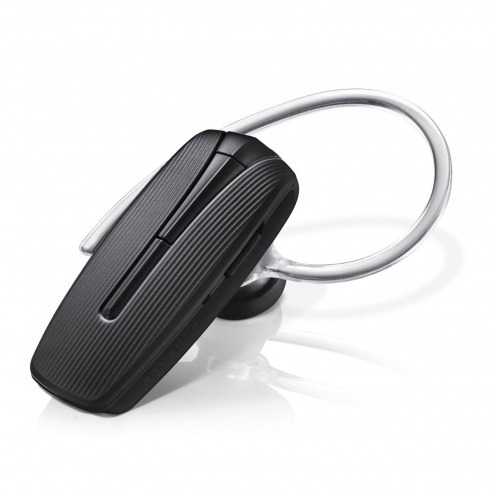 Samsung® HM1300 Multipoint Bluetooth 3.0 Mono Headset. A compact and discreet modern style headset with microphone. 10 front screen protectors for Wiko Slide by Clubcase®. Designed for your Wiko Highway they are Ultra clear and transparent, accompanied by 10 cleaning wipes. 3 front screen protectors for Wiko Birdy by Clubcase®. Designed for your Wiko Highway they are Ultra clear and transparent, accompanied by 3 cleaning wipes. 3 front screen protectors for Wiko Slide by Clubcase®. Designed for your Wiko Highway they are Ultra clear and transparent, accompanied by 3 cleaning wipes. 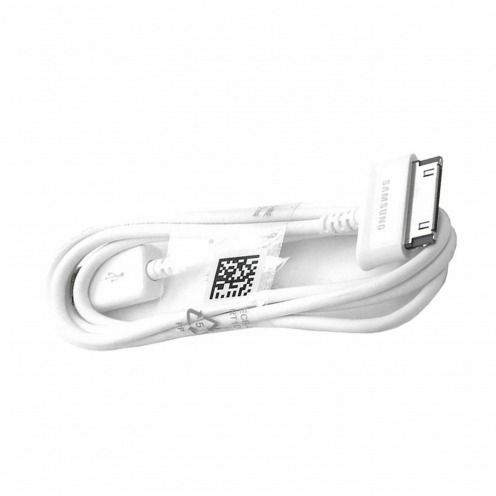 Data cable made by Samsung required for synchronization and charging your mobile devices connecting Micro USB. 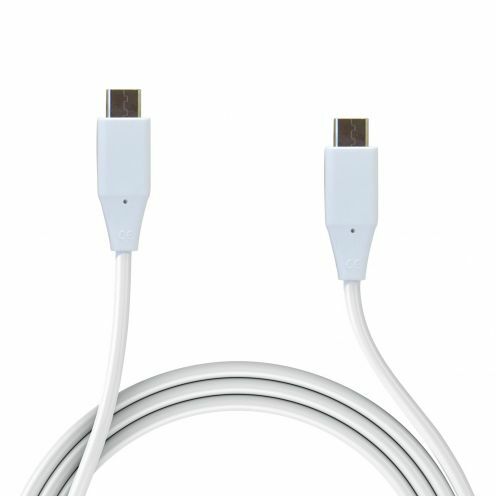 Data cable made by LG required for synchronization and charging your LG G5 connecting USB Type C. Made for LG G5. Model: EAD63687001. 3 front screen protectors for Wiko Getaway by Clubcase®. Designed for your Wiko Highway they are Ultra clear and transparent, accompanied by 3 cleaning wipes. 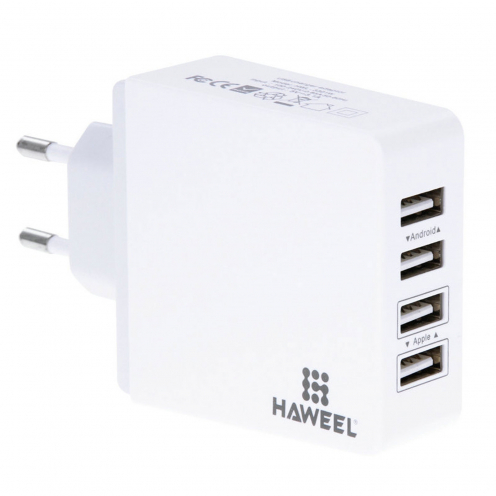 4x USB Ports AC Charger Haweel® Quick Charge with a power of 3.1A. With 4 integrated USB ports and a power of 3.1 amps, charge up to 4 devices simultaneously. 5 front screen protectors for Wiko Goa by Clubcase®. Designed for your Wiko Highway they are Ultra clear and transparent, accompanied by 5 cleaning wipes. 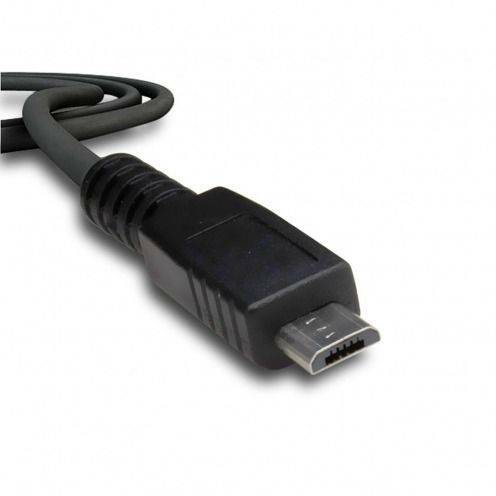 Data cable required for synchronization and charging your mobile devices connecting USB 3.0.High-quality, USB 3.0 and black! 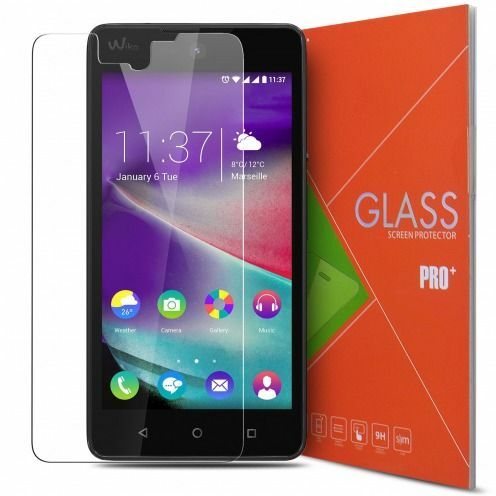 10 front screen protectors for Wiko Kite by Clubcase®. Designed for your Wiko Highway they are Ultra clear and transparent, accompanied by 10 cleaning wipes. 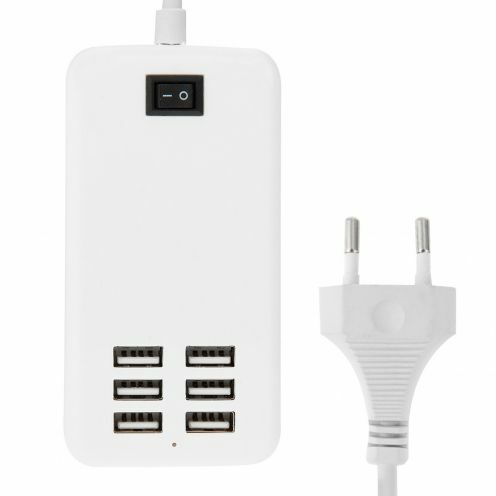 6x USB Ports AC Charger Quick Charge with a power of 6A. With 6 integrated USB ports and a power of 6 amps, charge up to 6 devices simultaneously. 10 front screen protectors for Wiko Goa by Clubcase®. Designed for your Wiko Highway they are Ultra clear and transparent, accompanied by 10 cleaning wipes. 5 front screen protectors for Wiko Getaway by Clubcase®. Designed for your Wiko Highway they are Ultra clear and transparent, accompanied by 5 cleaning wipes. 5 front screen protectors for Wiko Lenny by Clubcase®. Designed for your Wiko Highway they are Ultra clear and transparent, accompanied by 5 cleaning wipes. 3 front screen protectors for Wiko Goa by Clubcase®. Designed for your Wiko Highway they are Ultra clear and transparent, accompanied by 3 cleaning wipes. 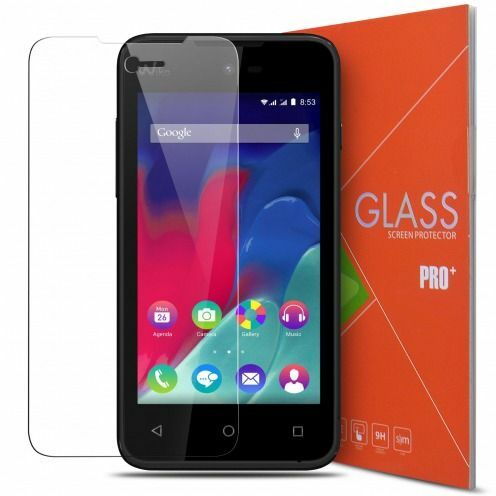 3 front screen protectors for Wiko Kite by Clubcase®. Designed for your Wiko Highway they are Ultra clear and transparent, accompanied by 3 cleaning wipes. 5 front screen protectors for Wiko Birdy by Clubcase®. Designed for your Wiko Highway they are Ultra clear and transparent, accompanied by 5 cleaning wipes. 10 front screen protectors for Wiko Getaway by Clubcase®. 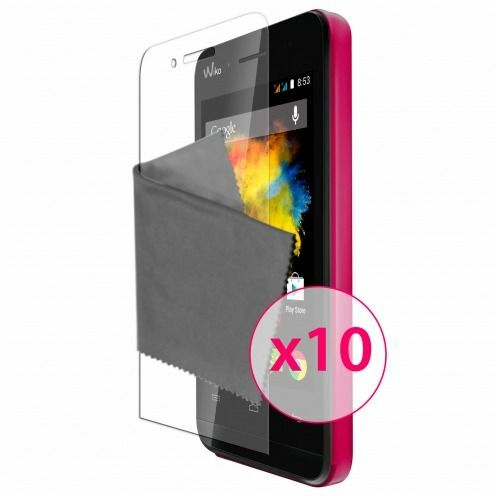 Designed for your Wiko Highway they are Ultra clear and transparent, accompanied by 10 cleaning wipes. 3 front screen protectors for Wiko Highway by Clubcase®. Designed for your Wiko Highway they are Ultra clear and transparent, accompanied by 3 cleaning wipes. 10 front screen protectors for Wiko Lenny by Clubcase®. Designed for your Wiko Highway they are Ultra clear and transparent, accompanied by 10 cleaning wipes. 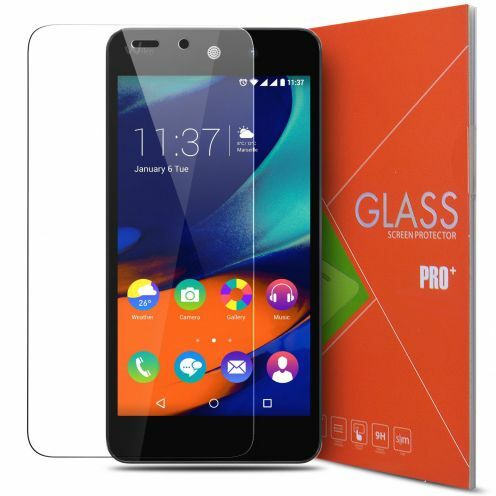 The tempered glass screen protector Glass Pro+ 9H Ultra HD for Wiko Sunset 2 protection is specially treated to provide superior protection for your Sunset 2. Glass Pro+ 9H Ultra HD has a high durability and resistance to scratches, impact, heat and chemicals. Advanced protection for your Sunset 2! 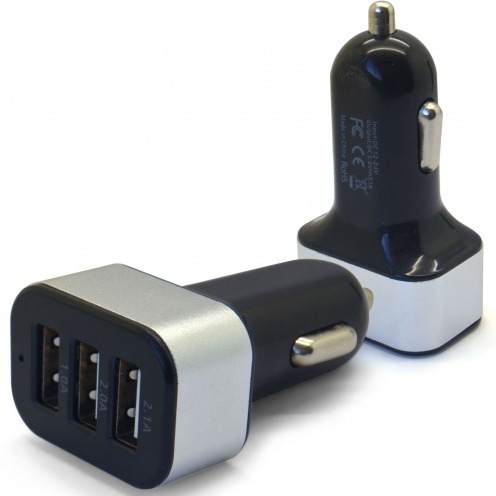 Micro car charger triple-head USB black with a capacity of 5100 mA. This charger is equipped with 3 output USB for iPhone, iPad and other mobile devices. 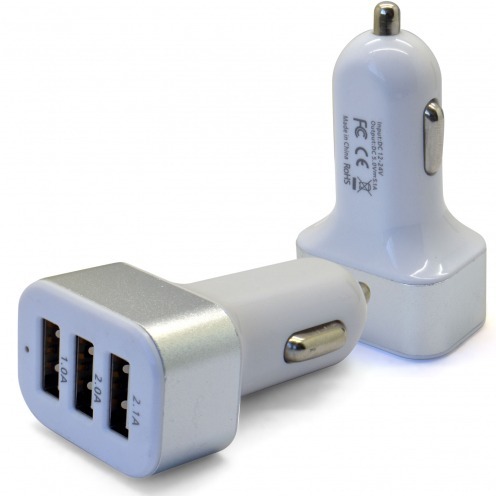 Micro car charger triple-head USB White with a capacity of 5100 mA. This charger is equipped with 3 output USB for iPhone, iPad and other mobile devices. 5 front screen protectors for Wiko Slide by Clubcase®. Designed for your Wiko Highway they are Ultra clear and transparent, accompanied by 5 cleaning wipes. 5 front screen protectors for Wiko Wax by Clubcase®. 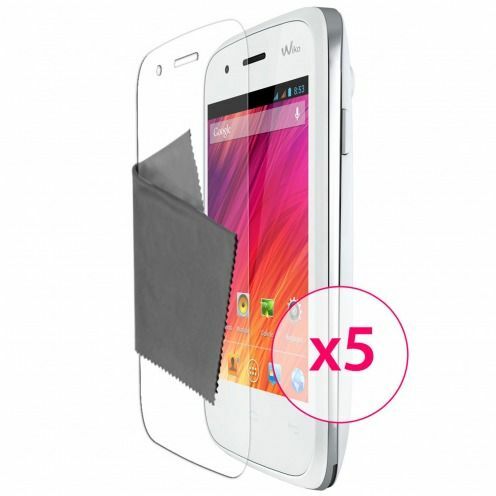 Designed for your Wiko Wax they are Ultra clear and transparent, accompanied by 5 cleaning wipes. 10 front screen protectors for Wiko Birdy by Clubcase®. Designed for your Wiko Highway they are Ultra clear and transparent, accompanied by 10 cleaning wipes. 5 front screen protectors for Wiko Kite by Clubcase®. Designed for your Wiko Highway they are Ultra clear and transparent, accompanied by 5 cleaning wipes. 3 protective films before transparencies Clubcase ® designed for your Wiko Stairway accompanied by 3 wipes. 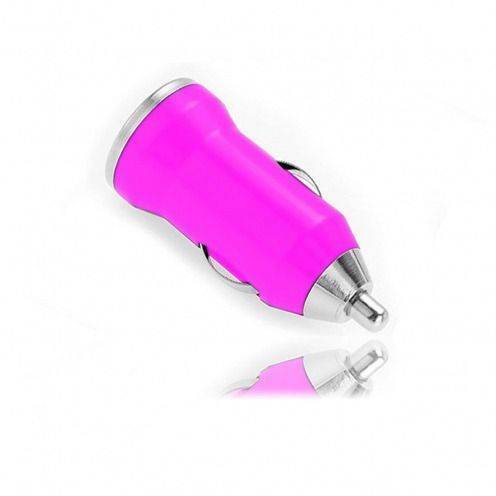 New Mini car charger cigarette USB fushia (only 55 mm), discreet and easy to use! 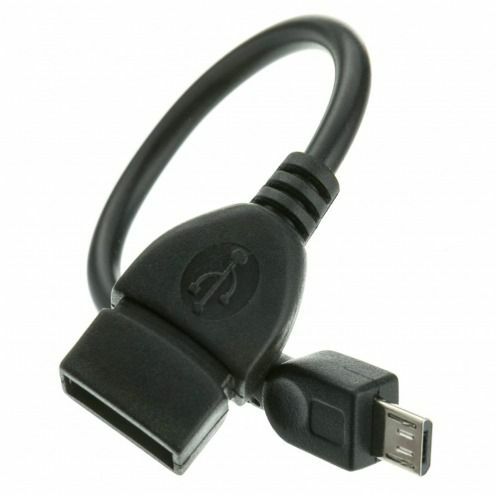 Micro car charger dual-head USB black with a capacity of 2100 mA. This charger is equipped with 2 outputs USB which one 2100mA designed to charge the iPad and a second of 1000 mA for iPhone and other mobile devices. 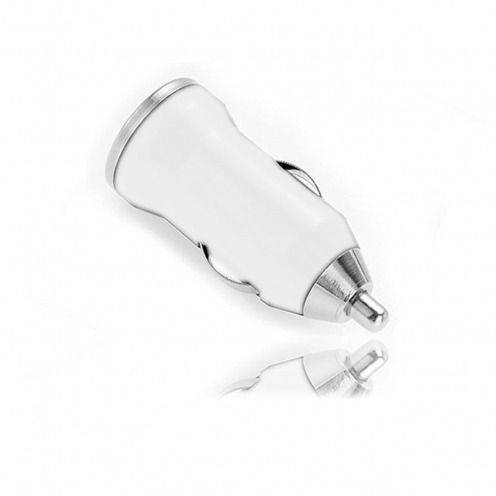 New Mini car charger cigarette USB white (only 55 mm), discreet and easy to use! 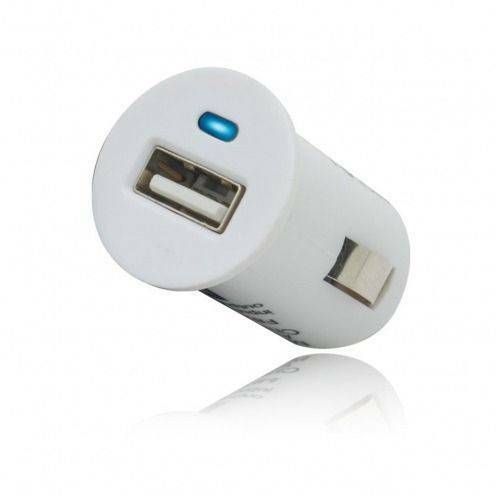 Micro car charger dual-head USB white with a capacity of 3100 mA. 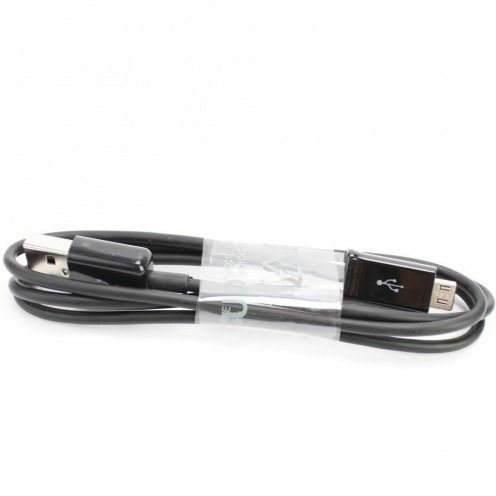 This charger is equipped with 2 output USB for iPhone, iPad and other mobile devices. One of the smallest Chargers of the market but also one of the most powerful! 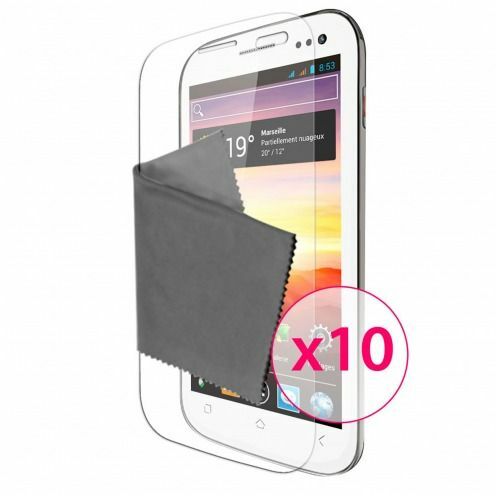 10 protective films before transparencies Clubcase ® designed for your Wiko Stairway accompanied by 10 wipes. 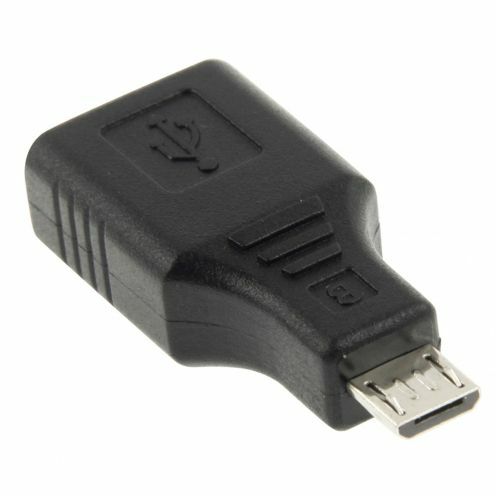 The smallest charger cigarette lighter (only 35 mm), discreet and easy to use! 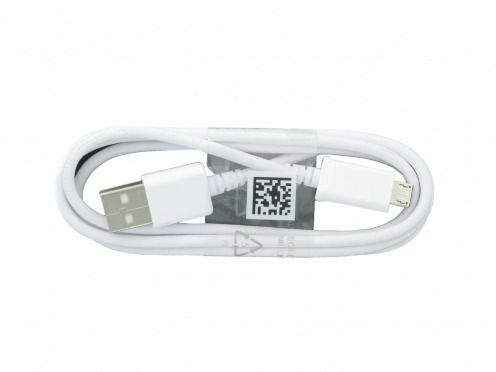 Data cable made by Samsung required for synchronization and charging your mobile devices connecting Micro USB. Made for Samsung Galaxy S6 and Galaxy S6 Edge. 10 protective films before transparencies Clubcase ® designed for your Wiko Cink Five accompanied by 10 wipes. 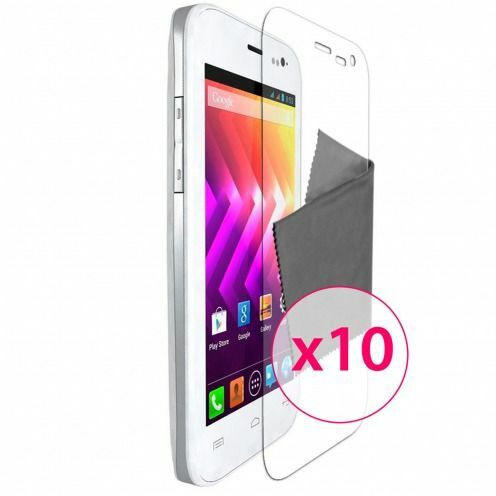 10 protective films before transparencies Clubcase ® designed for your Wiko Cink King accompanied by 10 wipes. New Mini car charger cigarette USB blue (only 55 mm), discreet and easy to use! 3 protective films before transparencies Clubcase ® designed for your Wiko Darkmoon accompanied by 3 wipes. 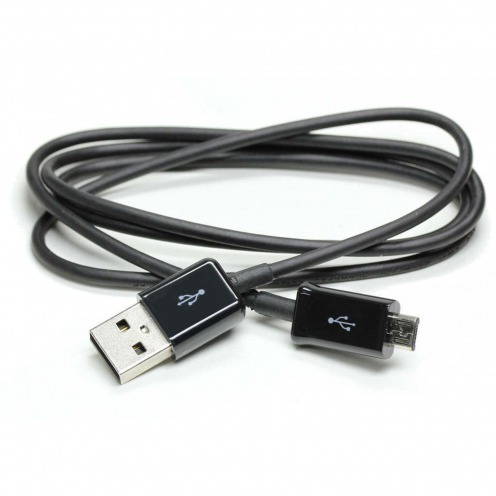 Black data cable made by Samsung required for synchronization and charging your mobile devices connecting Micro USB. 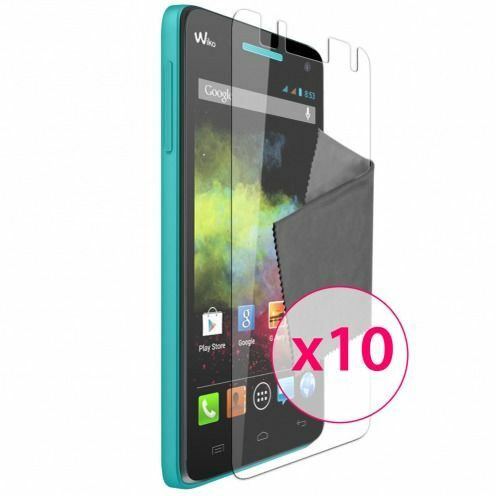 10 front screen protectors for Wiko Wax by Clubcase®. 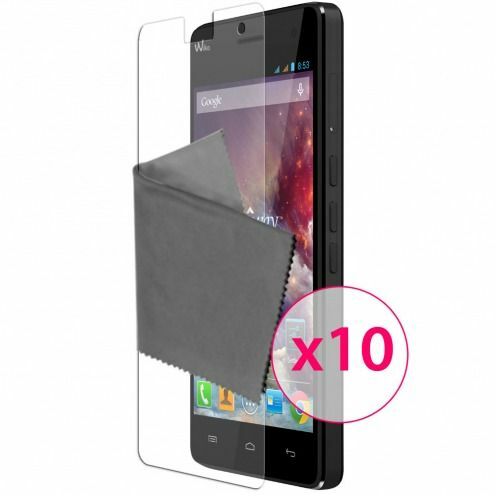 Designed for your Wiko Wax they are Ultra clear and transparent, accompanied by 10 cleaning wipes. 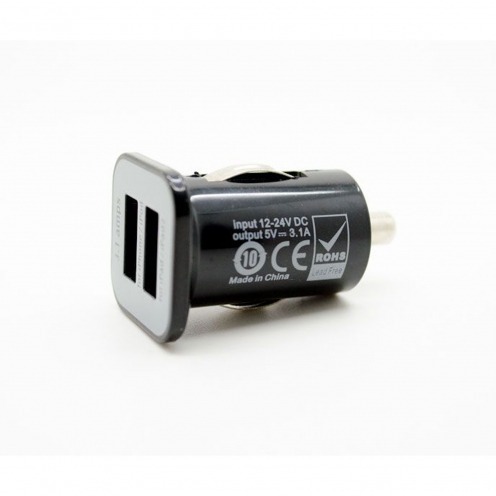 New Mini car charger cigarette USB dark blue (only 55 mm), discreet and easy to use! 3 front screen protectors for Wiko Rainbow by Clubcase®. Designed for your Wiko Highway they are Ultra clear and transparent, accompanied by 3 cleaning wipes. 3 front screen protectors for Wiko Wax by Clubcase®. Designed for your Wiko Wax they are Ultra clear and transparent, accompanied by 3 cleaning wipes. 10 front screen protectors for Wiko Rainbow by Clubcase®. 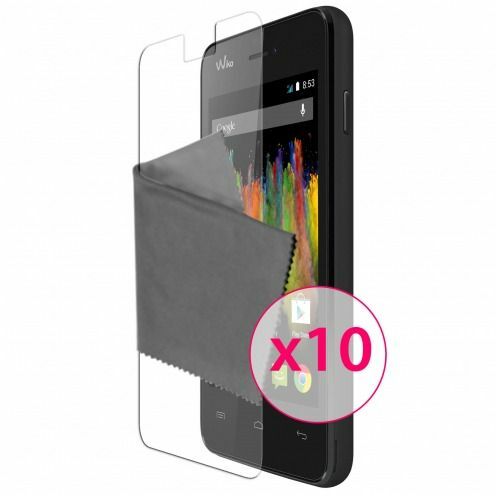 Designed for your Wiko Highway they are Ultra clear and transparent, accompanied by 10 cleaning wipes. 5 protective films before transparencies Clubcase ® designed for your Wiko Cink Slim accompanied by 5 wipes. 5 protective films before transparencies Clubcase ® designed for your Wiko Iggy accompanied by 5 wipes. 3 protective films before transparencies Clubcase ® designed for your Wiko Iggy accompanied by 3 wipes. 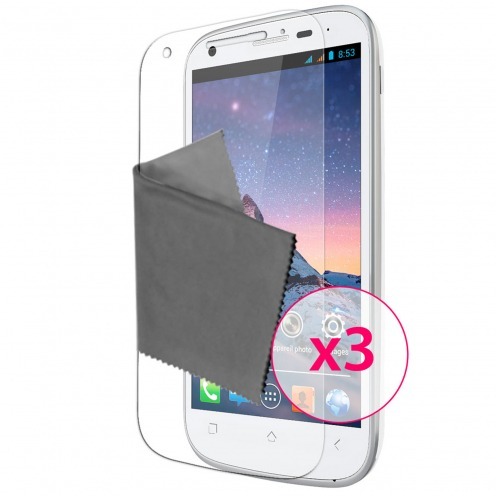 3 protective films before transparencies Clubcase ® designed for your Wiko Cink King accompanied by 3 wipes. 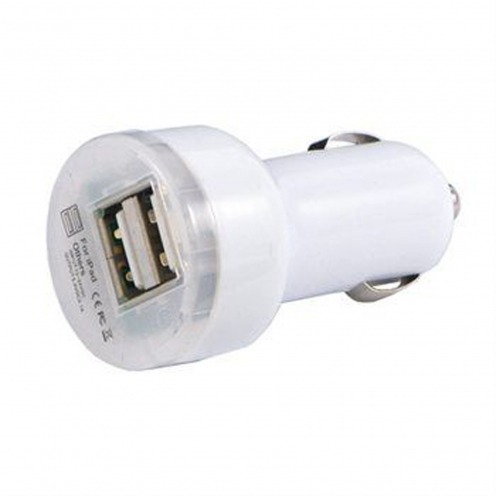 Micro car charger dual-head USB white with a capacity of 2100 mA. This charger is equipped with 2 outputs USB which one 2100mA designed to charge the iPad and a second of 1000 mA for iPhone and other mobile devices. 5 front screen protectors for Wiko Rainbow by Clubcase®. Designed for your Wiko Highway they are Ultra clear and transparent, accompanied by 5 cleaning wipes. 3 protective films before transparencies Clubcase ® designed for your Wiko Cink Slim accompanied by 3 wipes. 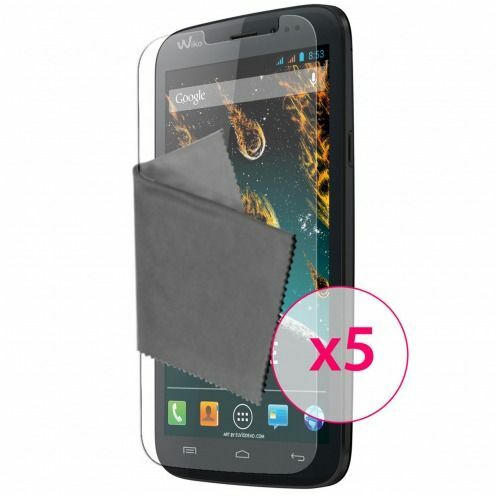 5 protective films before transparencies Clubcase ® designed for your Wiko Darkmoon accompanied by 5 wipes. 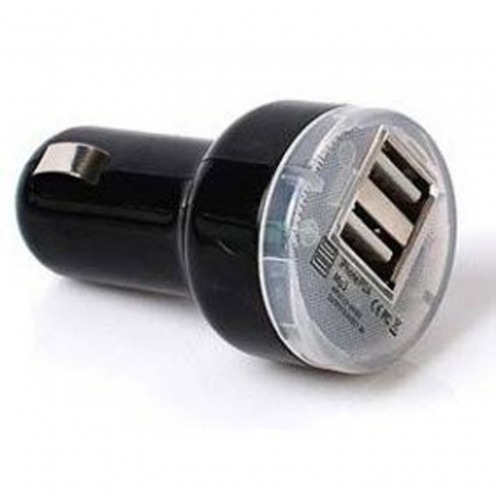 Micro car charger dual-head USB black with a capacity of 3100 mA. This charger is equipped with 2 output USB for iPhone, iPad and other mobile devices. One of the smallest Chargers of the market but also one of the most powerful! 5 protective films before transparencies Clubcase ® designed for your Wiko Cink Peax & Peax 2 accompanied by 5 wipes. 3 protective films before transparencies Clubcase ® designed for your Wiko Ozzy accompanied by 3 wipes. 10 protective films before transparencies Clubcase ® designed for your Wiko Ozzy accompanied by 10 wipes. 3 protective films before transparencies Clubcase ® designed for your Wiko Cink Five accompanied by 3 wipes. Photo tripod / Video Extensible specially designed for iPhone, it will allow you to fully utilize the capabilities photos and HD video from your iPhone. 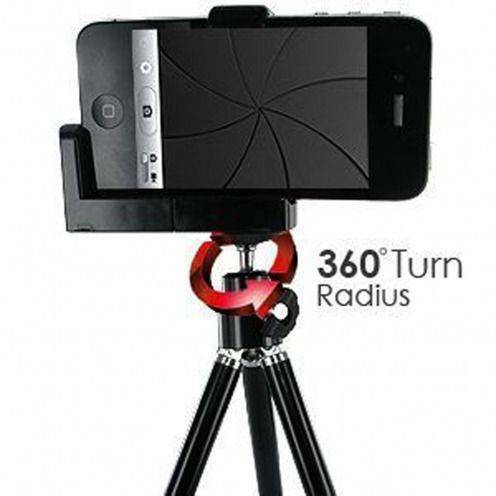 Thanks to the Photo Tripod, all your shots will be sharpest ! 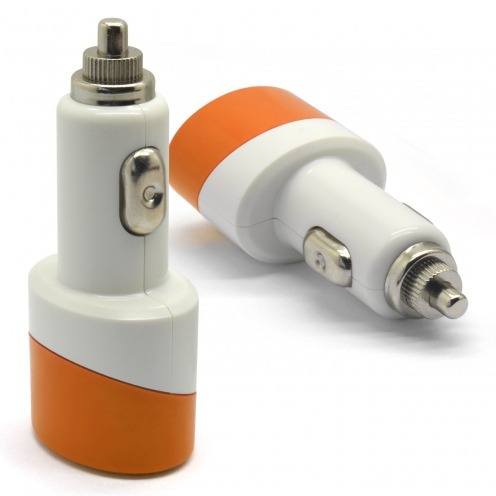 Car charger dual-head USB Orange Color Series with a capacity of 2.1A + 1A. This charger is equipped with 2 outputs USB which one 2100mA designed to charge the iPad and a second of 1000 mA for iPhone and other mobile devices. 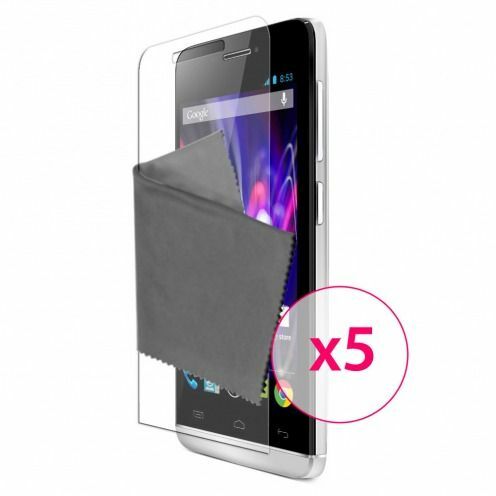 5 protective films before transparencies Clubcase ® designed for your Wiko Ozzy accompanied by 5 wipes. 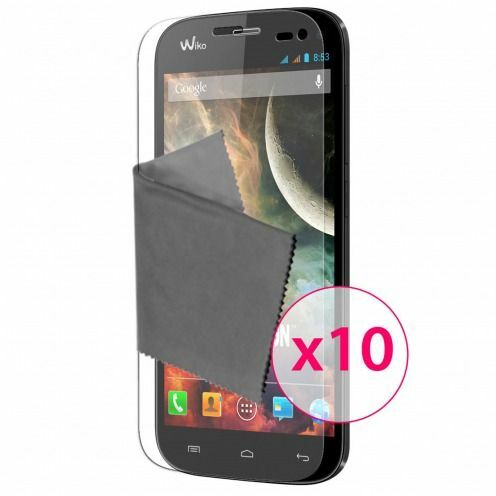 10 protective films before transparencies Clubcase ® designed for your Wiko Iggy accompanied by 10 wipes. 10 front screen protectors for Wiko Highway by Clubcase®. 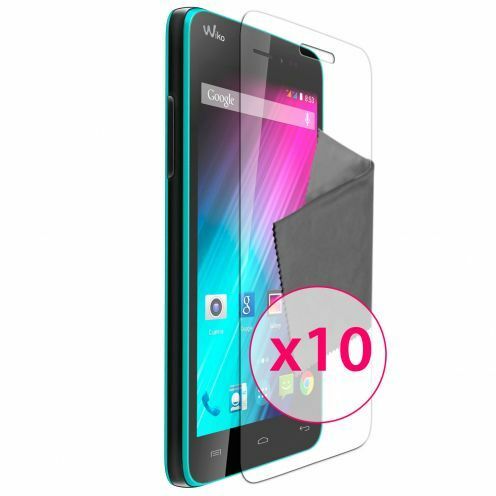 Designed for your Wiko Highway they are Ultra clear and transparent, accompanied by 10 cleaning wipes. 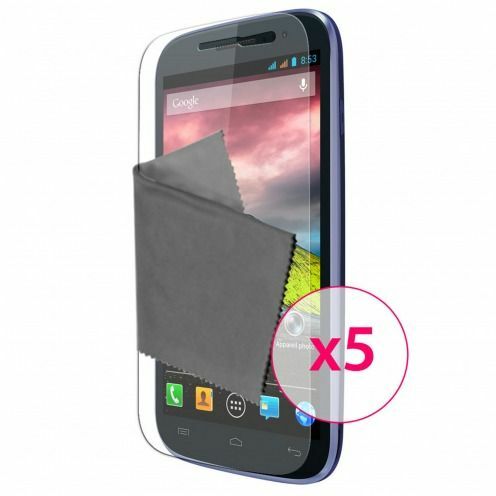 5 protective films before transparencies Clubcase ® designed for your Wiko Cink Five accompanied by 5 wipes. 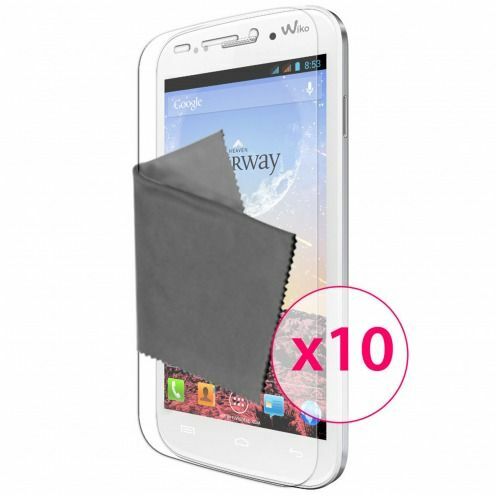 10 protective films before transparencies Clubcase ® designed for your Wiko Darkside accompanied by 10 wipes. 3 front screen protectors for Wiko Darkfull by Clubcase®. Designed for your Wiko Darkfull they are Ultra clear and transparent, accompanied by 3 cleaning wipes. 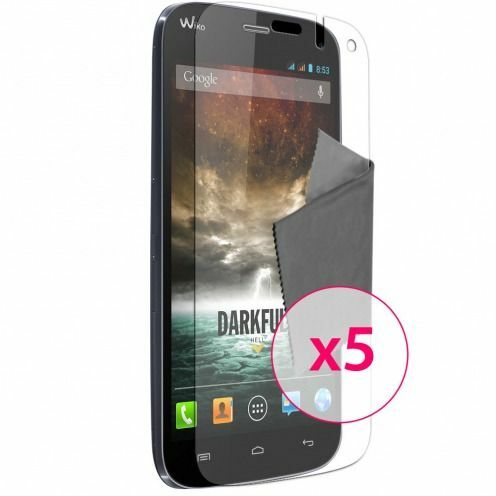 5 front screen protectors for Wiko Darkfull by Clubcase®. Designed for your Wiko Darkfull they are Ultra clear and transparent, accompanied by 3 cleaning wipes. 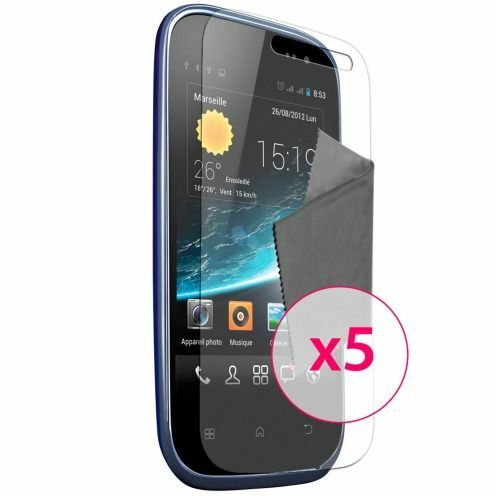 5 front screen protectors for Wiko Highway by Clubcase®. Designed for your Wiko Highway they are Ultra clear and transparent, accompanied by 5 cleaning wipes. 10 front screen protectors for Wiko Darkfull by Clubcase®. Designed for your Wiko Darkfull they are Ultra clear and transparent, accompanied by 10 cleaning wipes. 5 protective films before transparencies Clubcase ® designed for your Wiko Darkside accompanied by 5 wipes. 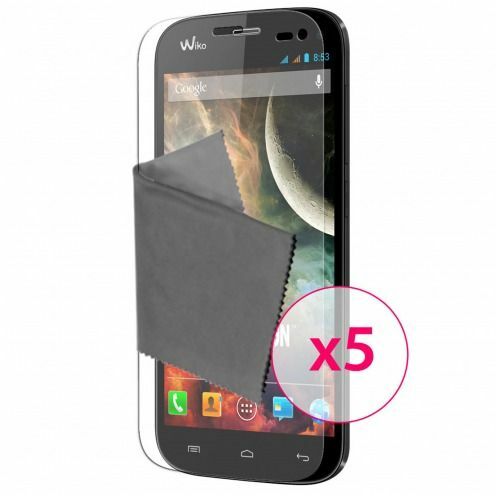 5 protective films before transparencies Clubcase ® designed for your Wiko Cink King accompanied by 5 wipes. 10 protective films before transparencies Clubcase ® designed for your Wiko Darkmoon accompanied by 10 wipes. 3 protective films before transparencies Clubcase ® designed for your Wiko Darkside accompanied by 3 wipes. 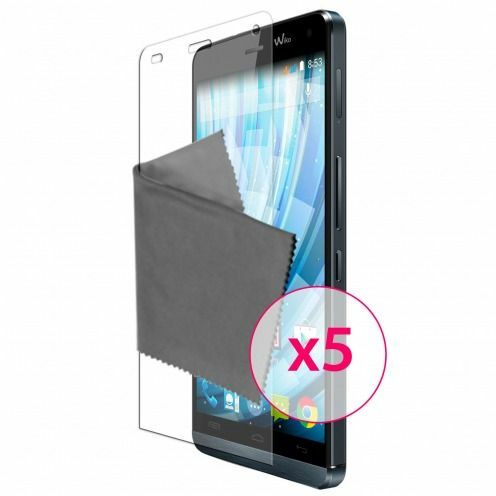 3 protective films before transparencies Clubcase ® designed for your Wiko Cink Peax & Peax 2 accompanied by 3 wipes. 5 protective films before transparencies Clubcase ® designed for your Wiko Stairway accompanied by 5 wipes. 10 protective films before transparencies Clubcase ® designed for your Wiko Cink Slim accompanied by 10 wipes.